What can be a better way to start the day than a cup of hot cocoa-milk drink and pandesal J Yes, our very own home-made pandesal. 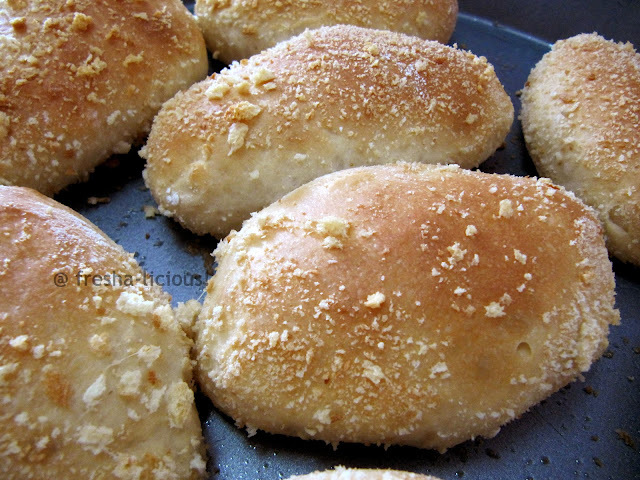 Pandesal literally means "bread of salt" but since Filipinos are naturally sweet tooth, pandesal had become sweeter and sweeter through the years. 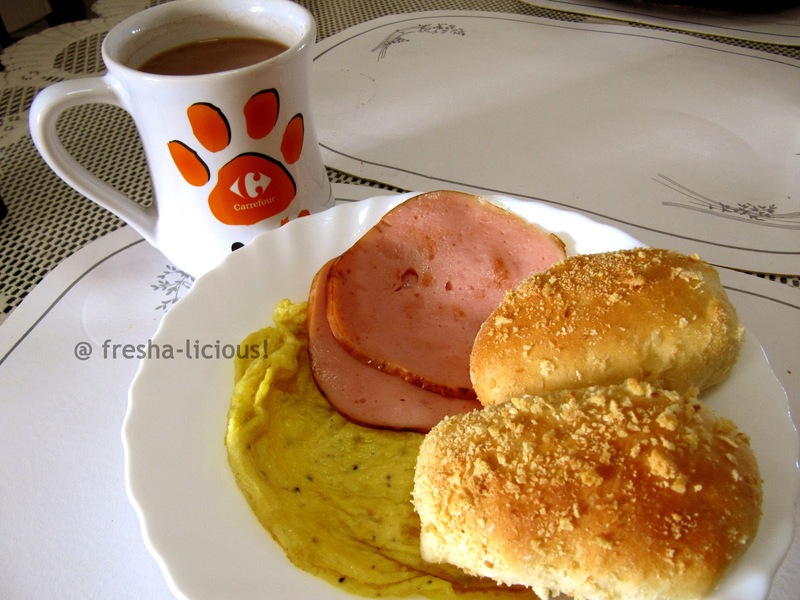 Pandesal is a Pinoy comfort food that is usually served for breakfast. And it has also finds it way to snack time J. It is available all throughout the day or during early mornings or mid-afternoon and can be bought from almost all bakeries nationwide. And speaking of bakeries, there are many bakeshops mushrooming in the Philippines. You can find one in almost all corners. Some tends to be profitable that they can stay in business for sometime, but some are short-lived. Some are too commercialized that the taste of pandesal is different and some stick to the more traditional process of making it. 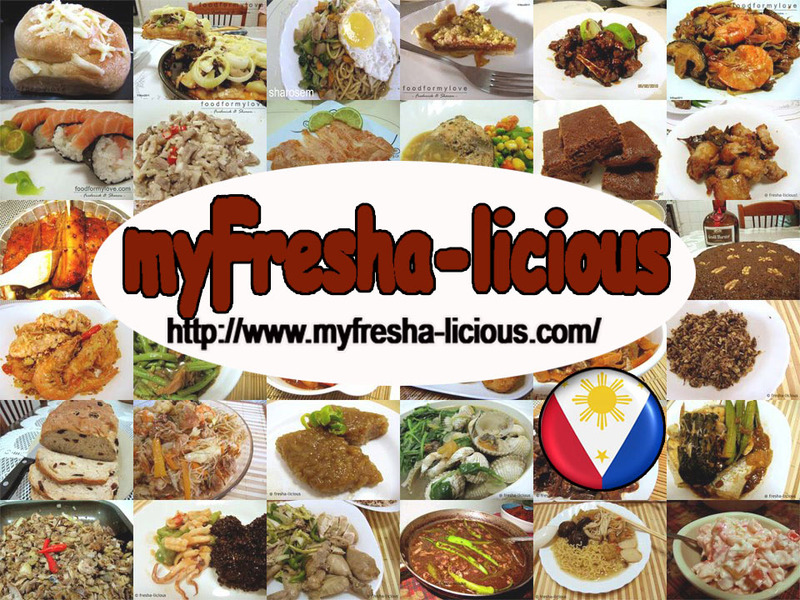 Like any OFW (overseas Filipino worker) away from home, we always crave for Filipino food specially those that can't be found easily in the country we are currently residing. Or in case they may be available, they tend to be too expensive that you have to think twice if it's really worth the price. Who wants to buy a pandesal at $2.50 a piece? That's the price of pandesal here in Singapore (you can buy it at lucky plaza) I tried buying once but I was not satisfied. - Using a stand-alone mixer with dough hook : Mix all the ingredients for 1 minute on low speed then shift to medium speed and continue mixing until the gluten is fully developed. To check if the gluten is fully developed, cut a small part of the dough, stretch it out, if a thin film forms in the center and it doesn't break easily, then the gluten is fully developed. - Using a bread machine: Place water and the beaten egg inside the bread machine pan, then the shortening, then the dry ingredients. Put it under “dough only” function. Let it mix the ingredients to form a dough. 3. Transfer the dough in a lightly floured surface, nudge and tuck it in to form a round big ball. Cover with a plastic or a cloth and let it ferment for 120 minutes. 5. Cut the dough log into 15 pieces, roll each piece on the bread crumbs, and place them on a greased pan. 6. Proof in a warm area for 60 minutes or until it doubles in size. Makes 15 pcs . Here’s the estimated Nutritional values per piece based on the ingredients used. Saturated fat : 0.88 g.
Trans fat : 0.02 g.
Dietary fiber : 0.80 g.
ano po bang pwedeng ipampalit sa shortening kung wala? thanks..
hi magandang araw po. una po, kaya po nirerecomenda namin ang pag-we-weigh ng ingredients, meaning, ingredients should be in grams or kilograms or in any weight equivalent measurement and not in volume or in cups/teaspoon, ay para po maging consistent ang result ng bawat baked goods po natin regardless po kung ito ay bread or cake. 1 cup of flour is equivalent to 80g. to 100g. depende po yan sa brand, kung na sift or hindi ang flour, at kung pano niyo nilagay sa cup ang flour, and 10g in excess or short of it as called for in a recipe will yield a different result. Specially when it comes to the fat (shortening/butter/oil) and liquid ingredients. Professional bakers and patissiers will strongly recommend weighing of ingredients to achieve consistent result in their baked cakes and breads.